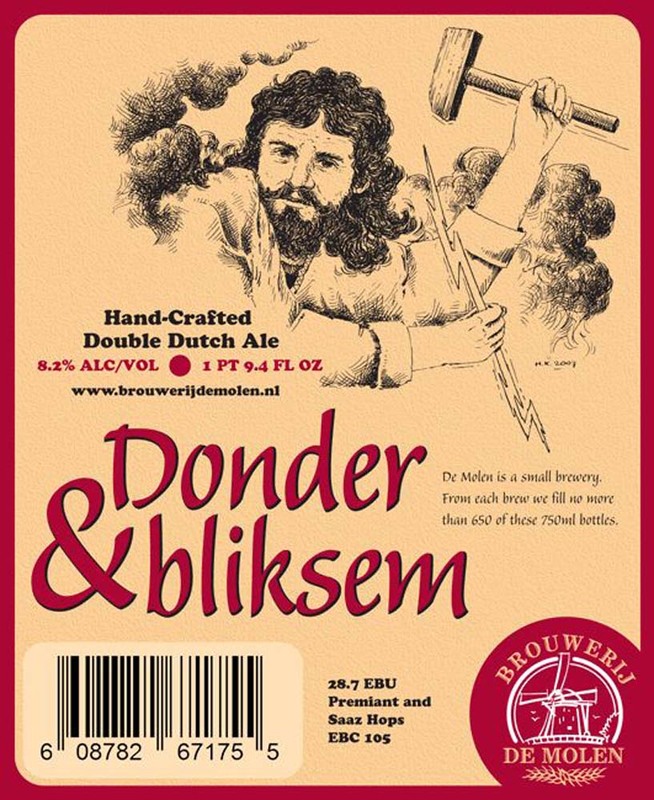 Not to be confused with the Pilsener-style Dutch version (or the reindeer) the Donder and Bliksem found in America is labeled a “Double Dutch Ale” by the brewery. It might resemble an American Barleywine, if it weren’t for its subtlety. We describe it as a “Dutch Dobbel Bok”, but really this beer defies categorization. Premiant and Saaz hops lend a mellow hop character to dominant malt flavors. Elegant and warming, but still packing a punch, this beer lives up to its name, which translates to Thunder and Lightning.